hd00:12Beijing, CHINA - February 16, 2017:China's Spring Festival launching ceremony in Beijing,People attending the new years fair in Tongzhou river park. 4k00:12RACH GIA/KIEN GIANG/VIETNAM/NOVEMBER 2017: People preparing food and fruit to make ceremonial offerings the national hero Nguyen Trung Truc in Rach Gia, King Giang province, Vietnam. 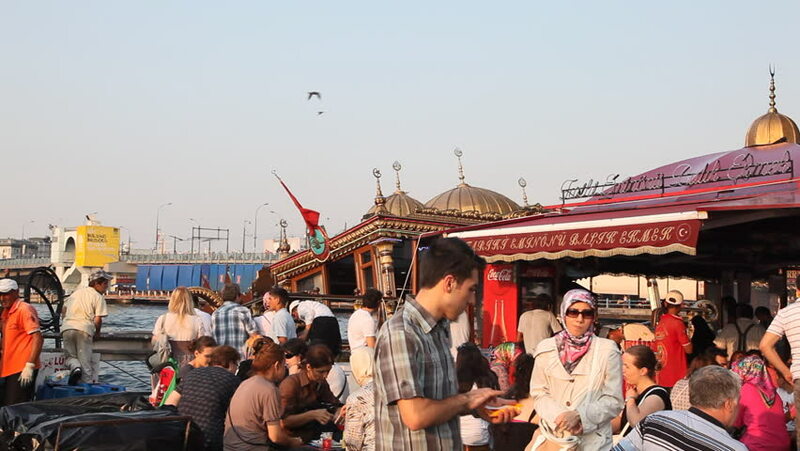 hd00:55ISTANBUL, TURKEY - JUNE 09, 2015: People having fish in at traditional Eminönü fish sandwich boats are famous throughout the country as many times it finds a place in vintage Turkish movies or songs.